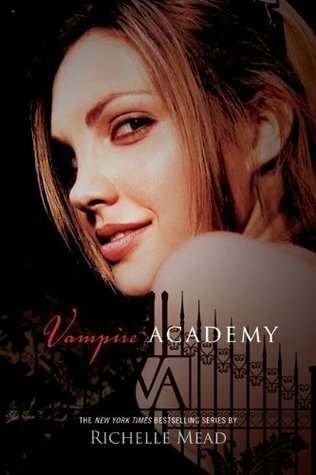 I’m currently reading Vampire Academy by Richelle Mead. I have to confess that I’m only reading this because the movie’s coming out. What can I say? I’m a sucker for a good teeny bopper vampire flick! It’s been a while since I’ve read another Twilightesque book, mainly because the whole vampire/boarding school sub-genre is getting tiresome. Just 100 pages into the story, I’m already sensing that a love triangle and an epic vampire clan showdown are in the midst. Yes, this series appears to be following the formula, yet the author is shaking it up a bit with some creative twists on the vampire lore. I’m interested to see how things pan out for the main character, Rose, who is getting a lot of one-on-one time with her personal defense-against-the-Strigoi trainer, Dimitri. They’re currently in the love-hate stage, which I’m sure will turn into a forbidden love affair. You see, Rose is at the bottom of the vampire totem pole and is forbidden to canoodle with members of the royal class. Oh how I love a scandal! Stay tuned for the book/movie review. 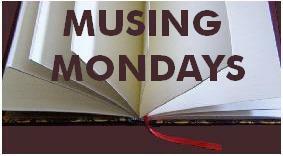 Posted on February 3, 2014 by Bubble Bubble Books and Trouble •	This entry was posted in Features, Musing Mondays and tagged Musing Mondays, Richelle Mead, Vampire Academy. Bookmark the permalink. ← “Dance on His Grave” Review & Audiobook Giveaway! I’m not into “Vampire” reading but must say it does sound interesting if there is to be “canoodling” going on. Haven’t heard that fun word used in ages. Enjoy your reading this week. I’ve read some of this series and I actually like it.